We have one other option before class is dismissed. Here, I have superimposed text over part of the image. This is especially useful for card designs. 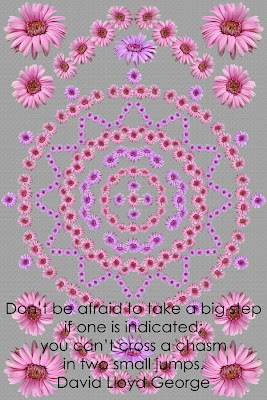 Visit my Brightlight Mandala site and see if you don't get more ideas and inspiration for ways to expand on what I have shown you here. If you have specific questions about how something is done, put it in an e mail, and I will be happy to respond.